Most warehouse managers are intimidated by the thought of re-designing an existing warehouse. Quite often they continue to operate from the same facility design that was implemented 10 to 15 years previously. As your business changes and grows, the warehouse must change as well. In order to develop an updated warehouse re-design, use the following steps. 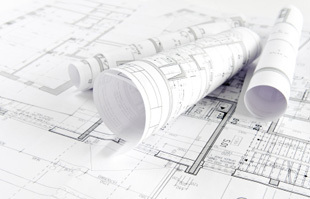 Get (or create) an AutoCAD drawing of your existing warehouse location. Update the drawing to include column spacing, sizing and positioning of all storage equipment, relevant space allocations and all work stations. Review all inventory storage requirements for the most recent 12 months. Use the Product Master file to convert inventory into storage type (i.e. shelving, racks, floor, etc.) and quantities. Account for changes to product mix and SKU counts. Review warehouse activity over the last 12 months. Use the Invoice file to quantify picking volumes, order size and SKU activity. For inbound volumes, use the Receipts file (Production and Purchase Orders) in order to quantify receiving volumes. Meet with the warehouse staff to document current work procedures and material handling needs at it relates to product flow in and out of the warehouse. Agree on the correct work station designs and location throughout the warehouse in order to support the processing of orders and receipts. Talk with senior management in order to understand the future business plan for the company. This will include forecasted sales volumes, changes in SKU coverage, potential acquisitions, etc. Incorporate this information into the re-designing the existing warehouse. Once you have completed steps 1 – 5 you will have the necessary tools and information to begin the re-designing of an existing warehouse. As you proceed through mapping out the new layout, continually ensure that the proposed layout efficiently supports the inventory levels, order profile, SKU activities, material handling needs, staging requirements, work procedures, and future business needs.